Connecticut hospitals would pay $156 million more in state taxes over the next two years under Gov. Dannel P. Malloy’s new budget — an increase Malloy did not report to legislators when presenting his biennial plan on Feb. 8, the Connecticut Hospital Association says. But the administration, which has had a rocky history with the industry, says hospitals only would owe more taxes if they are making more money. The new state tax increase, coupled with the governor’s proposal to allow municipalities to tax hospitals’ real estate, would expose the industry to about $580 million in new taxes over the next two years. And a second proposal from the administration would restrict hospitals’ abilities to appeal state tax decisions to the Department of Social Services. 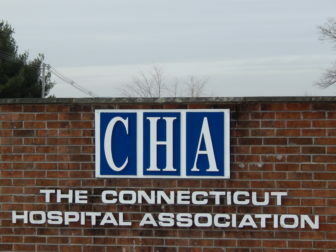 “For a budget that was supposed to be helpful (to hospitals), we’re not being told the whole story,” Steve Frayne, senior vice president for the Connecticut Hospital Association, told The Mirror. The CHA sent an analysis of the governor’s budget on Friday to hospitals statewide, warning that the net effect of Malloy’s proposals — coupled with some previously established policy changes — amount to a $116 million annual hit to the industry as a whole starting next fiscal year. Hospitals already knew Malloy wanted to end nonprofit hospitals’ exemption from the real estate property tax, which represents a $212.1 million annual burden to the industry. Malloy also would eliminate an $11.8 million grant pool for small hospitals. That would all be offset, though, by $250 million in new yearly, supplemental state payments to hospitals. In fact, the administration touted that hospitals would come out almost $26 million ahead in the aggregate next fiscal year. But new restrictions on state tax credits will cost the industry another $18.5 million, and a Medicaid rate reduction ordered in January would cost facilities another $27 million next fiscal year. The big hit came last week when the industry analyzed a new policy bill introduced to implement the governor’s budget. That showed a major change in how the state calculates the tax it has levied on hospitals since 2011. The formula, which is based largely on hospital revenues, originally used 2009 receipts. Two years ago Malloy and legislators switched to 2013 receipts. A new bill introduced recently on the governor’s behalf would update the revenue base every three months to reflect the latest revenues. The hospital association estimates, based on its industry revenue forecast, that the $556 million tax hospitals pay this fiscal year will rise to $623 million in 2017-18 and to $625 million in 2018-19. Chris McClure, spokesman for the governor’s budget office, said the administration stands by its projections, which show no state tax increase on hospitals over the next two fiscal years. “Our revenue schedule is what we anticipate for FY 18 and FY 19,” he said. But McClure added that the governor’s proposal simply ties the tax to increases in hospital services — and the receipts they collect. But the tax is based on hospitals’ revenues and not on their profits. Frayne said the administration’s approach is to put the hospital industry into an all-too-familiar role. “Whenever there is a budget problem, ‘let’s go to the hospitals and force them to solve it,’” Frayne said. When the provider tax first was imposed on hospitals in 2011, it only was a legal maneuver to qualify Connecticut for additional federal assistance through Medicaid. The state collected $350 million in taxes on the industry, but returned $400 million in supplemental payments. Over the past six years, though, the tax has grown and the supplemental payments have shrunk — despite an increase in the federal reimbursement rate. Hospitals will pay $556 million in total this fiscal year and receive $117 million back as Connecticut misses out on hundreds of millions of dollars in potential federal reimbursement. Another policy bill introduced on the governor’s behalf would end hospitals’ ability, in most cases, to appeal hospital tax decisions to the Department of Social Services. “To bascially say, ‘We get to make the decisions and they are not challengeable,’ that’s basically unfathomable,” Frayne said. Hospitals have filed dozens of appeals in recent years, and sued the state after the department rejected their claims. The CHA launched a new televised and online ad last week attacking the governor’s budget. And lowering the tax rate on insurance companies while tightening restrictions on tax credits they can use. If the hospital industry’s projections are correct, the total state tax hike recommended by the governor would rise to $276 million next fiscal year and to $239 million in 2018-19.